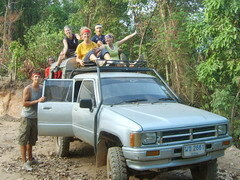 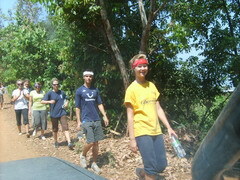 7:00 AM on April 2, 2010-Got the team from Ar-Cade bus station then headed to Omkoi and Maw Kler Kee. 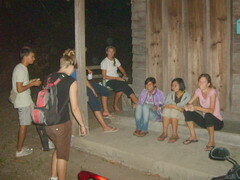 One of our friends came to visit Omkoi and see our hostel. 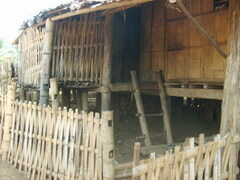 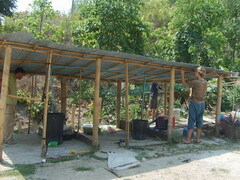 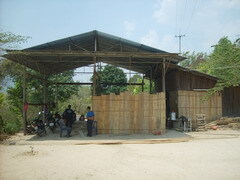 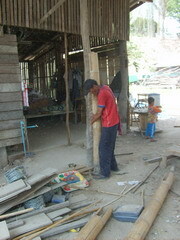 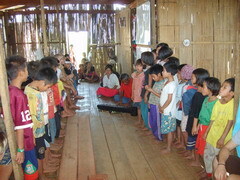 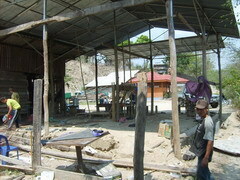 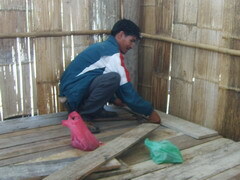 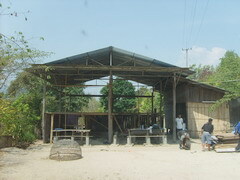 He saw that the children really needed a new building because the bamboo building had already decayed. 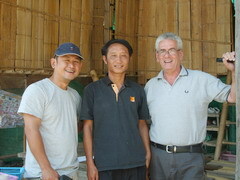 He contacted his friend and was able to raise the funds. 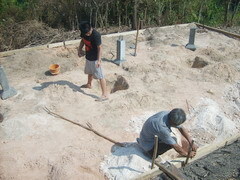 He told us to hire someone to draw the building plan quickly. 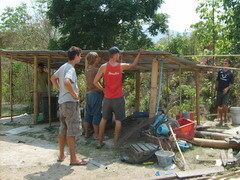 (His website) www.trupco.co.uk/cs/ We were excited and very happy about that. 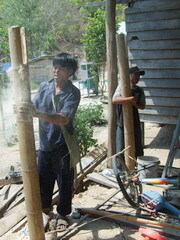 We started to tear down our only bamboo building and toilets. 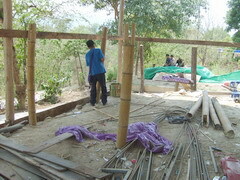 We hoped to construct the new building during the summer holiday in time to be used for the new semester. 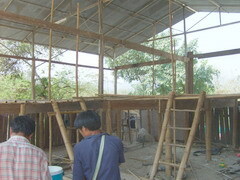 However, in early June 2010 he told us that although many people were interested, there was no funding for construction. 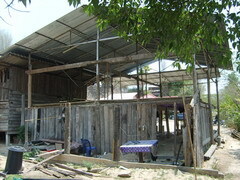 We had already demolished our hostel building and paid for a new building plan and construction license, totaling 25,000 baht. 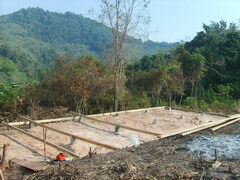 Because this area is in a municipality, every construction project needs permission from the city and must been certified by an engineer. 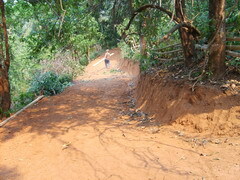 It was as if we had been released in the middle of the ocean, because Chris moved out from Omkoi to another province after he told us that he could not raise the funds. 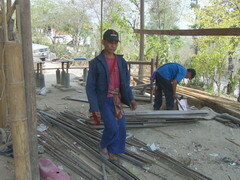 He has not contacted us since. 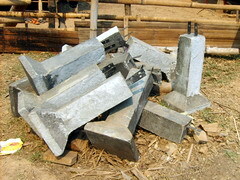 We know that this is not the will of God. 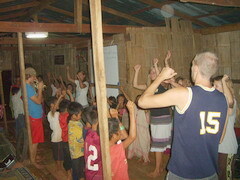 We will pray and wait for the time of God. 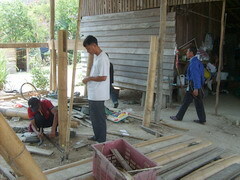 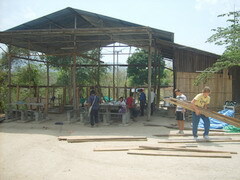 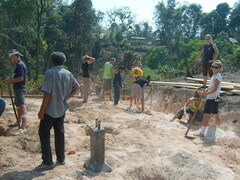 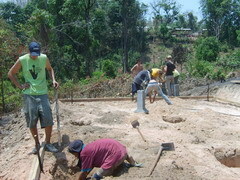 Today (June 20, 2010) we decided to replace nine posts of the hostel building to reinforce the concrete pillars. 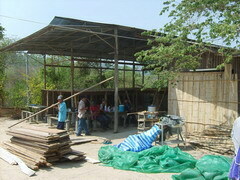 When the wind blew in the early rainy season, we could see our building wobble in the wind. 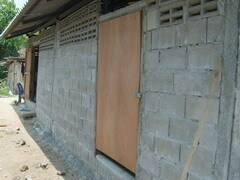 While our hostel building is under construction, we are renting another house for our boys. 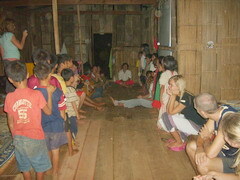 We asked parents of the children to come in groups of five to ten people and help demolish our hostel building. 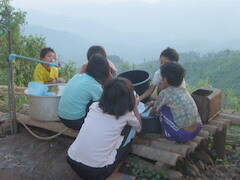 We paid travel expenses and meals for them because they came from remote areas. 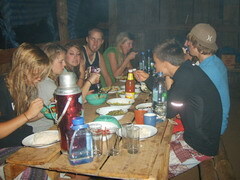 We arrived at Omkoi Coffee Hostel at 10:30 AM. 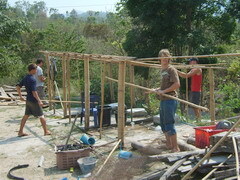 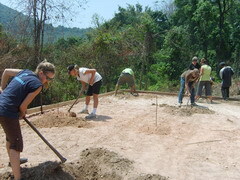 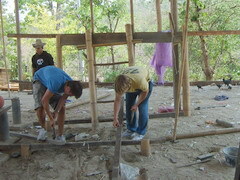 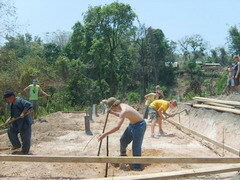 After lunch the YWAM Team helped the parents demolish the building. 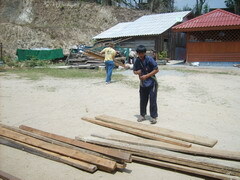 It is now time to return the planks we had borrowed from the landlord. 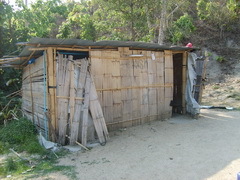 At Omkoi the cost of a wooden house is greater than that of a concrete house. 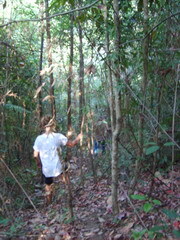 We arrived at Maw Kler Kee at 11:30. 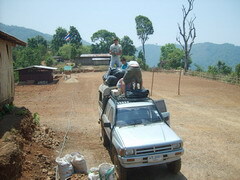 The trip took four and a half hours. 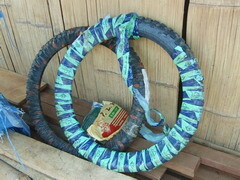 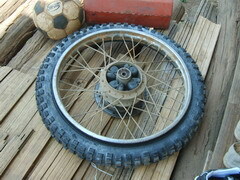 We stopped and bought a tire for Pastor Taw Soe because his motorcycle tire was decrepit. 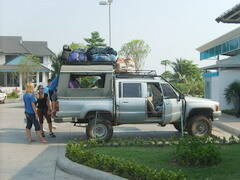 Our expenses escalated because of distance and difficulty of transportation. 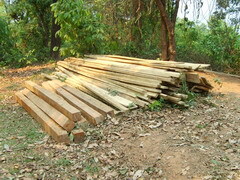 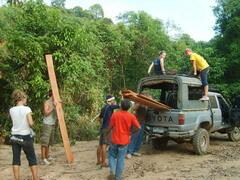 We had to hire trucks and villagers to move these posts and planks. 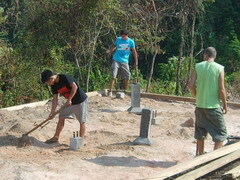 There is still more work to do at the hostel. 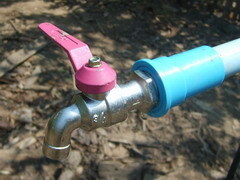 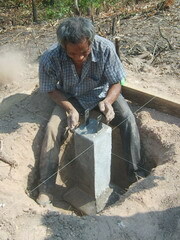 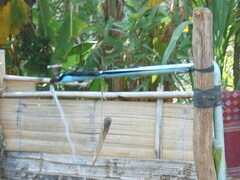 One project is to replace the broken taps in the village that are higher than the level of our hostel. 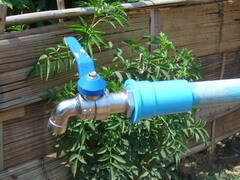 Otherwise we would not get water from the village plumbing. 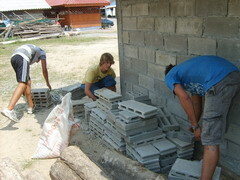 Some of our building budget had to be used to solve this problem. 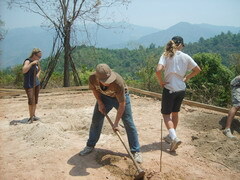 Three girls from the team volunteered to do this work. 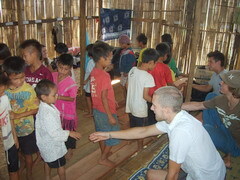 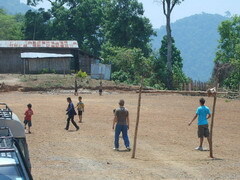 Some of the team still has ample energy to play with the children. 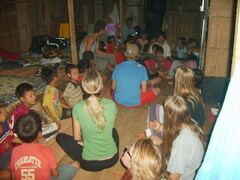 Before beginning hard work in the morning, they played with the children and did a skit with intervention standpoint for the children to see. 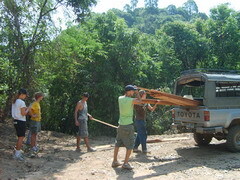 We moved heavy things from the former hostel with our truck. 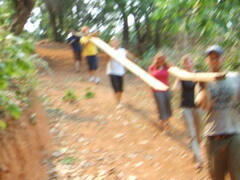 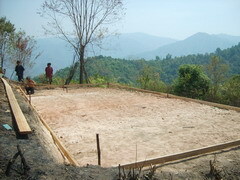 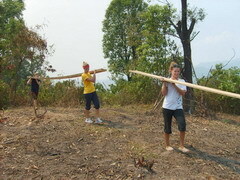 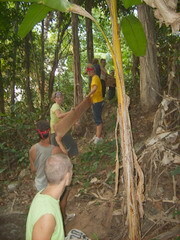 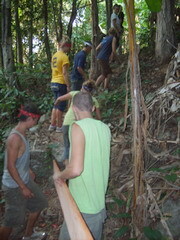 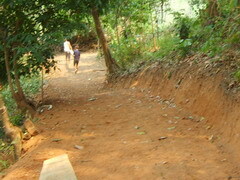 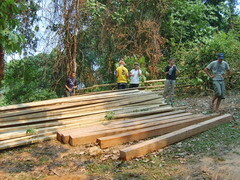 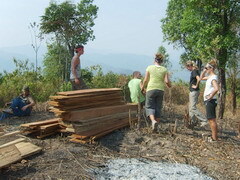 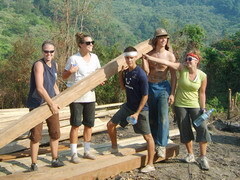 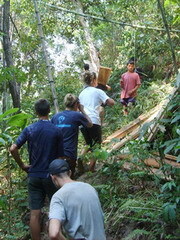 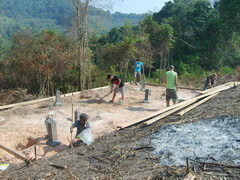 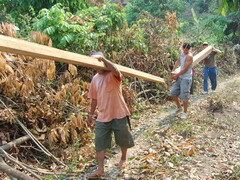 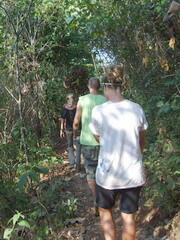 To move the wood, we have to walk down to the valley and carry it up to our new hostel site. 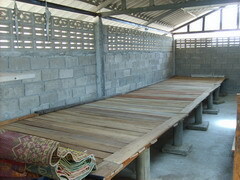 We cleaned the disordered area around the dorm. 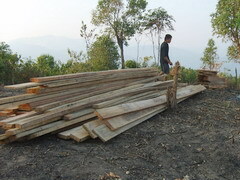 We still have wood to be moved. 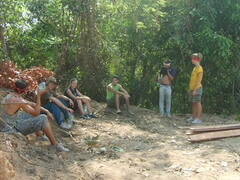 We divided the team into two groups. 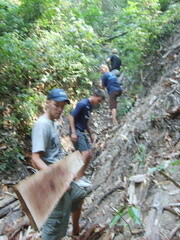 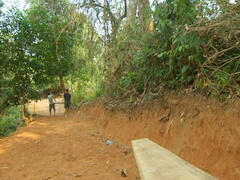 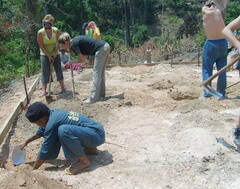 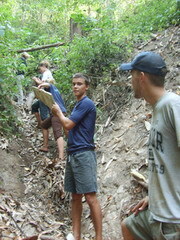 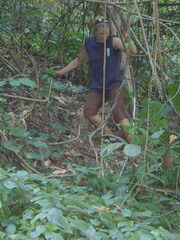 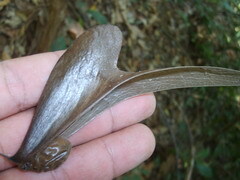 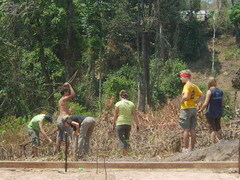 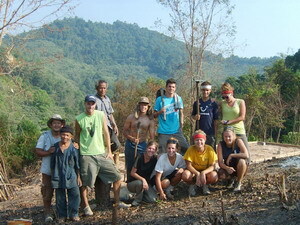 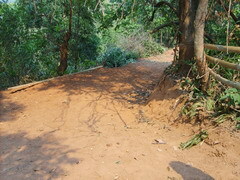 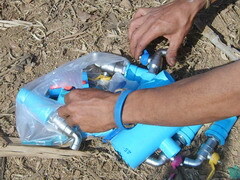 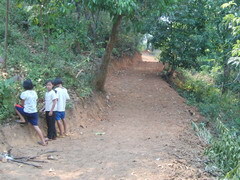 The first group carried the wood and the second group changed the faucets in the village. 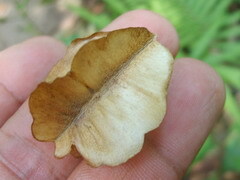 We saw strange lace while we sat for a moment of rest. 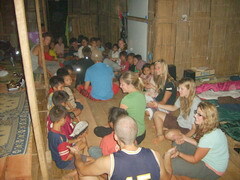 After work we come back and play with the children. 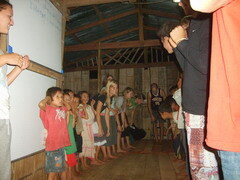 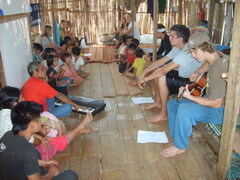 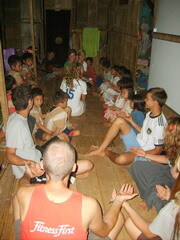 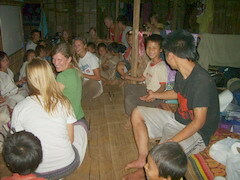 We said farewell to the children before leaving Maw Kler Kee Hostel. 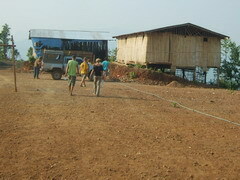 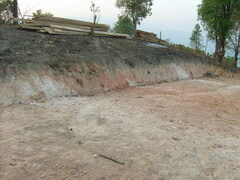 When we arrived Omkoi again, this is the current progress toward readiness for next semester. 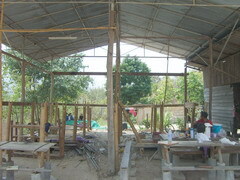 The left bathrooms have been moved to the back because it overlapped with the building plan that we hired the architect to draw. 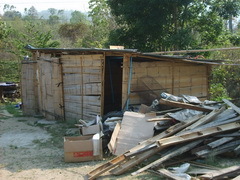 At that time we believed that we could start constructing the new building in the near future, so we asked the YWAM Team to demolish these bathrooms. 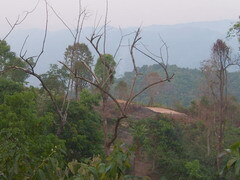 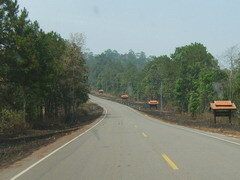 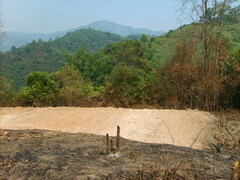 During the journey back to Chiangmai, we better understood why smoke covered the sky over the northern part of Thailand. 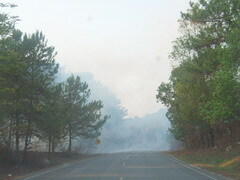 Some of the smoke originated from here. 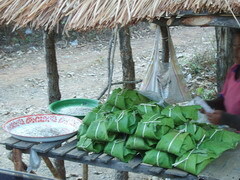 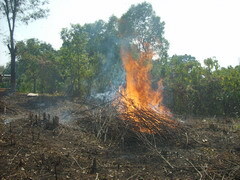 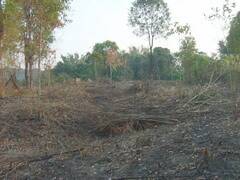 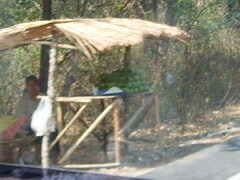 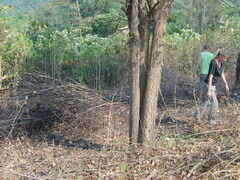 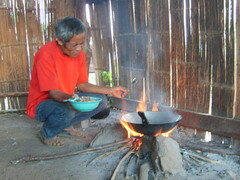 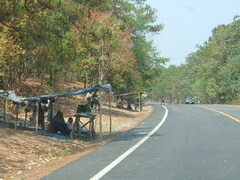 Some Thai villagers burn the forest to get a kind of vegetable call “Pak Wan” and chase out a kind of ant to get their eggs to sell beside this street. 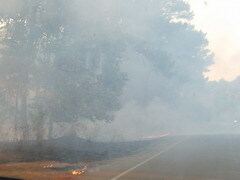 The rest of the smoke was from burning farmland in preparation for planting.